Prominent & Leading Manufacturer from Mumbai, we offer ms dish end. We have positioned ourselves in this domain as the leading manufacturer and supplier of an impeccable range of MS Dish End. 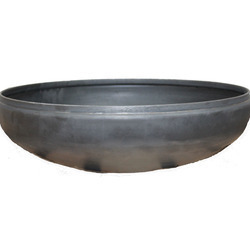 The offered MS Dish End is manufactured as per the international quality standards using best quality steel. This elbow is tested on specified quality norms to assure flawlessness before the delivery. We are offering this MS Dish End in various sizes & thickness as per the requirements of customers. Note : Price range may vary from Rs 100-20000 per piece as per size variations . Looking for MS Dish End ?